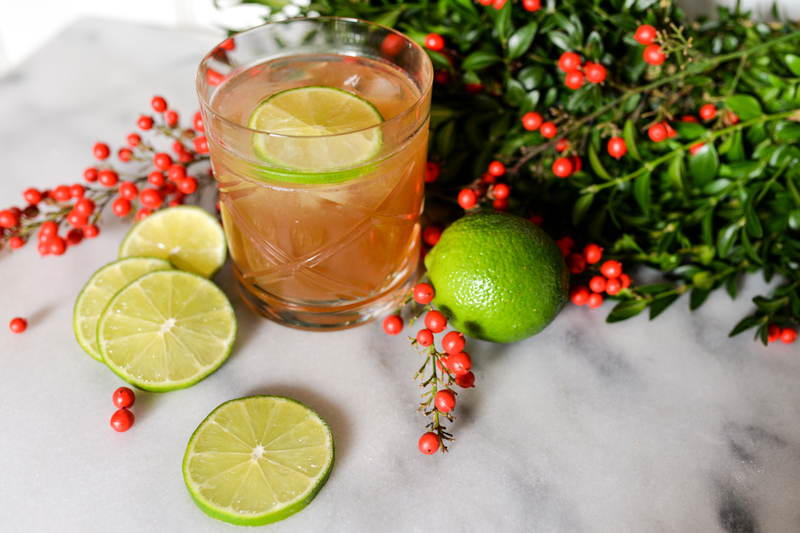 The Nor’easter cocktail is the unofficial signature drink of the Flinner household – probably because it only contains a few ingredients that we usually have on hand, and the simple ratio of 4:2:1:1 is easy to remember. 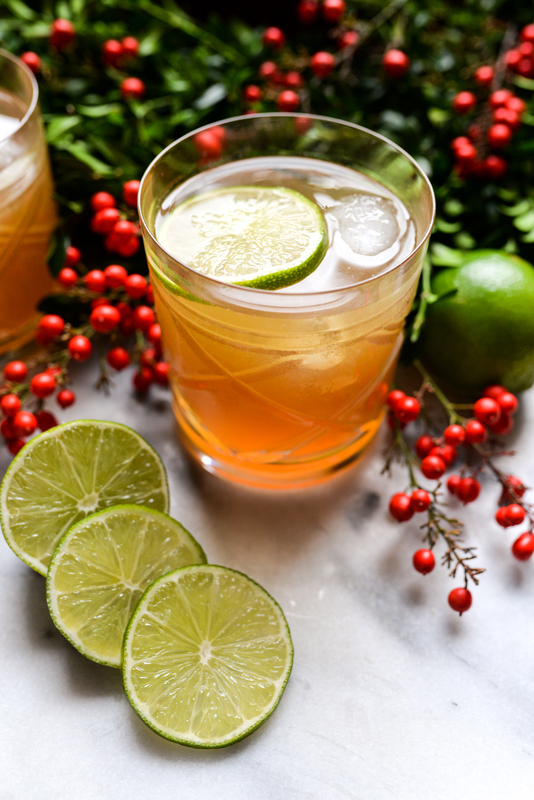 The bourbon base is made merry and bright with the addition of maple syrup and ginger beer – creating a cocktail that’s very approachable and perfect for whiskey enthusiasts and cocktail novices alike. 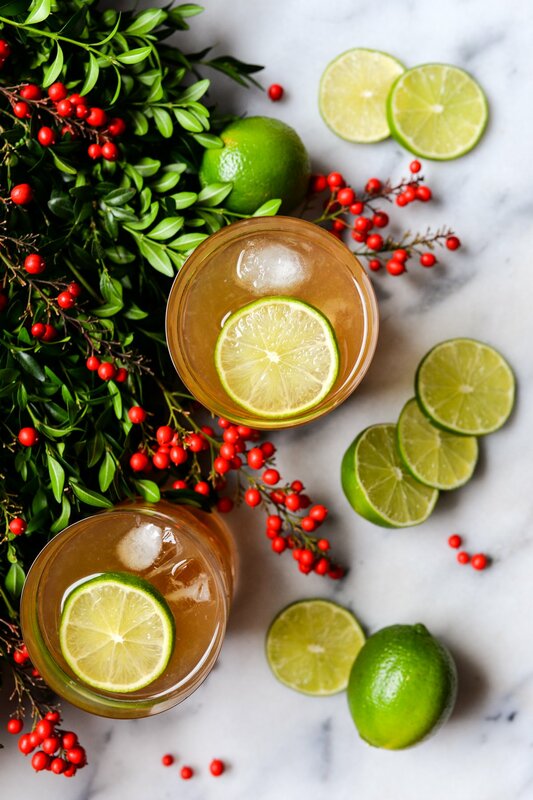 I love serving Nor’easters at holiday gatherings and the extra ginger beers are a perfect non-alcoholic beverage to offer to friends who don’t drink. Since the drink is quite simple, I love glamming things up by serving it in beautifully cut lowball glasses, and over time I’ve amassed quite the collection of glassware. I especially love these single old-fashioned glasses that we received as wedding presents and these double old-fashioneds which have a plaid design and are appropriately festive for the holiday season. 1. Pour bourbon, maple syrup and lime juice in a small pitcher. 2. Divide the ice between two lowball glasses, and pour the cocktail evenly between the glasses. Top each glass with 1 oz of ginger beer and give it a little stir. Float a lime wheel on the surface and serve! 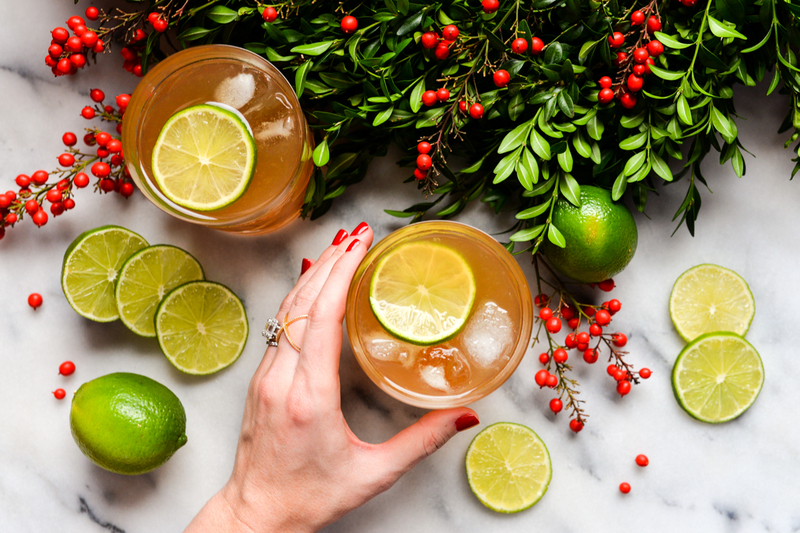 SUBSCRIBE HERE for more holiday recipes, entertaining tips, and decor inspiration in the coming weeks!